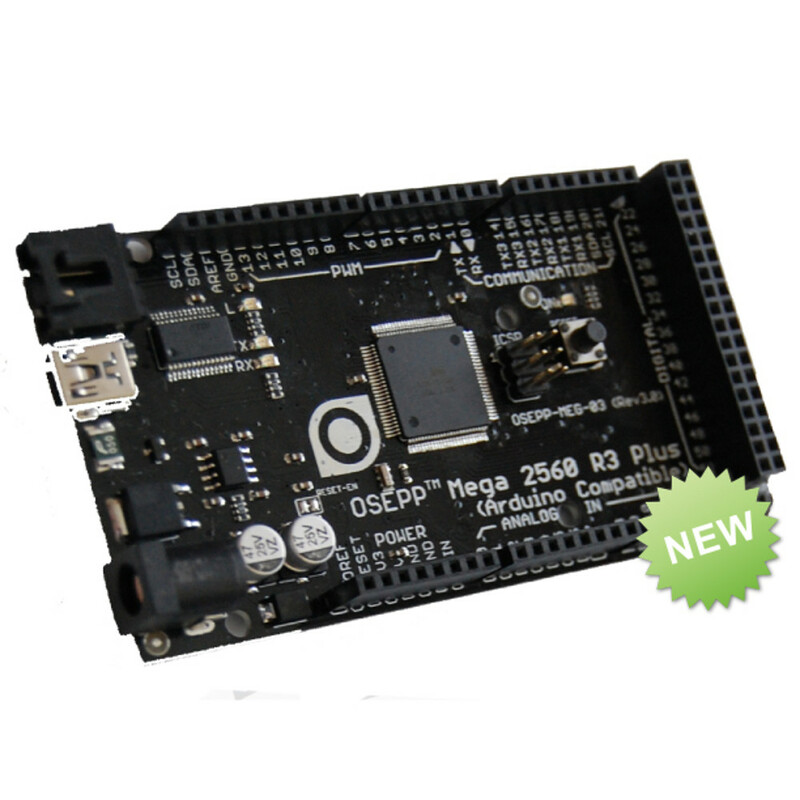 The OSEPP Mega 2560 R3 Plus is the bigger brother to the OSEPP Uno board with more flash memory, more SRAM, more EEPROM, and more pins. This board is perfect for projects that require a lot of inputs/outputs or that require more complex programs that cannot fit into the smaller memory of the ATmega328P. The ATmega2560 comes with the Arduino bootloader preloaded. There is an ICSP (In-Circuit Serial Programming) header for the ATmega2560 to optionally replace the bootloader. As an added precaution, the board comes with a resettable polyfuse on the USB connection path. To prevent damage to the computer’s USB port, the fuse will trip when the current to the port exceeds 500 mA. The input and/or output pins are brought out to headers which enable a convenient way to prototype projects without the need of soldering or desoldering. This board is based off of the Arduino Mega 2560 designed by Arduino, and is released under the Creative Commons Attribution Share-Alike License.